Military assessment warns of high risk of war with Gaza – The Times of Israel, Feb. 13. 2019. Israeli military report predicts high probability of clashes in Gaza… in 2019 – i24News, Feb. 13, 2019. 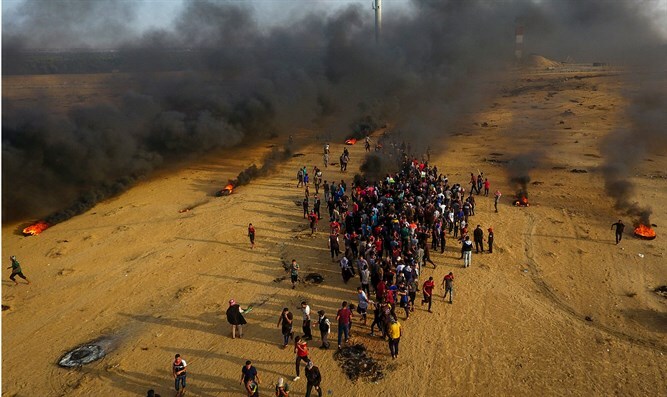 Chief of Staff: Prepare for Gaza conflict – Israel National News, Feb. 13, 2019. 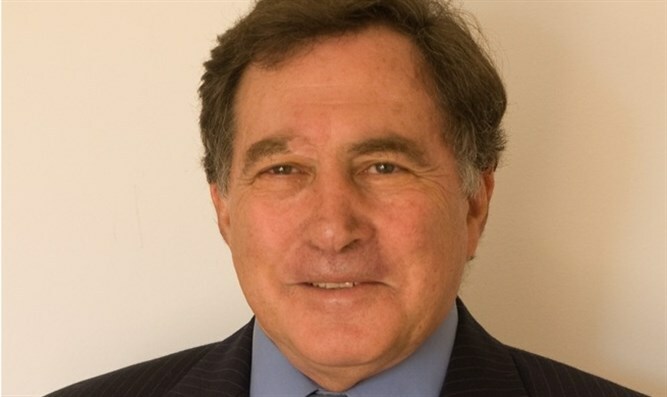 Intelligence assessment for 2019: IDF prepares for confrontation with Gaza – Channel 20News, Feb. 13, 2019. Indeed, I would be intrigued to hear what my detractors have in mind for Gaza and how they envisage the fate of the hapless enclave in, say, ten to fifteen years from today. For already, its unfortunate inhabitants are in dire straits, with most of their natural water sources polluted, with raw sewage flowing into the streets, and with electrical power available for only a several hours a day. Significantly, this grave situation has been precipitated despite the fact that Gaza has received one of the world’s highest levels of international aid and massive flows of humanitarian merchandise from Israel, which have, almost invariably, been promptly expropriated by Hamas. Ominously for the people of Gaza, this aid appears to be diminishing, making the future seem even bleaker than the present. The onset of “donor fatigue”? Indeed, in light of overwhelming evidence of the lack of good governance in the Palestinian-administered territories, in general and in Gaza in particular, there are increasing signs of “donor fatigue”. Of course, the most significant manifestation of this is the massive curtailment of aid by the current US administration, both to the Palestinian Authority (PA) and its related institutions, as well as to UN institutions rendering services to the Palestinian population—chiefly to the UN Relief and Works Agency (UNRWA). However, other donor countries have raised concerns that the aid they provide may be misused. Thus, Australia, for example, has decided to divert the aid it gives via UN—rather than directly to the PA. In the public discourse, two flimsy excuses are commonly bandied about in the mainstream media for the ongoing fate of the general population in Gaza. Both portray the inhabitants of Gaza as victims – either (a) as victims of their leadership and/or (b) as victims of Israel’s repressive blockade of the hapless enclave. With regard to the former, the Gazans are not the blameless victims of their leadership. They are the very crucible in which that leadership was formed, and from which it emerged. To underscore this, over the last five years, public expression of collective Palestinian preferences have consistently shown “overwhelming” supportfor lethal attacks against Israelis (including civilians inside the pre-1967 lines), and for the “pay-to-slay” payments made to “security prisoners” (read, “jailed terrorists”), who have murdered countless Israelis in cold blood—often in the most brutal manner. Indeed, a poll conducted just over a year and a half ago by a leading Palestinian survey institute, the Palestinian Center for Policy and Survey Research, found that 85% of Gazans supported maintaining payments to said “security prisoners”, while recently thousands of Gazans rallieddemanding release of convicted perpetrators of terror-related offenses. Moreover, a December 2018 poll, conducted by the same Palestinian institute, showed that the Gazans display little remorse for their election of Hamas. Thus, according to its findings, in a future presidential election, Hamas’s Ismail Haniyeh would trounce incumbent Mahmoud Abbas of Fatah by almost two-to-one! As for the later excuse, it is demonstrably and indisputably clear that the imposition of the quarantine on Gaza is the consequence—not the cause—of the Gazans enmity towards Israel. Indeed, to attribute the hostility toward Israel to the dire humanitarian situation in Gaza plays directly into the hands of Israel’s detractors. Worse, it is in effect, to be complicit with the enemy—endorsing its mendacious and malevolent narrative. After all, it necessarily implies that if only Israel would somehow initiate/facilitate an improvement in Gaza’s living conditions, the violence would subside. This not only reinforces the false claims that Palestinian terrorism is driven by Israeli-induced economic privation, but also that Israel bears the responsibility for such terror, which is, therefore, no more than an understandable reaction to hardship and despair, externally imposed by an alien power. But this is a transparent inversion of causality. For, the penury in Gaza is not the cause of enmity towards the Jewish state. Quite the opposite! It is enmity towards the Jewish state that is the cause of penury in Gaza. The current conditions in Gaza are not the result of a lack of international humanitarian aid, or of Israeli largesse. Gaza has enjoyed an abundance of both, only to squander them on efforts to harm Israel—by diverting massive resources to the construction of a vast military infrastructure with which to assault the Jewish state. Indeed, anyone with even a smidgeon of familiarity with Israeli society and its basic impulses, must know that, had there been any genuine desire for peaceful coexistence with its Jewish neighbors, Gaza would have flourished. Israeli enterprise and expertise, which transformed Israel from a struggling agricultural-based country to a super-charged post-industrial powerhouse in a few decades, would have flooded into the enclave, providing opportunity and employment for its impoverished residents. So, in effect, the only thing that the Gazans need to do to extricate themselves from their current predicament is…nothing! All they need to do is stop what they are doing now—attacking Israel. Indeed, the only thing that needs to happen for Gaza to thrive is for them to convincingly foreswear hostility and embrace peaceful coexistence with Israel. But of course, that will not happen! For that is not in the nature of the Gazan populace, hopelessly immersed in quagmire of their own making of Judeophobic hatred and Judeocidal desire that is strangling any prospect of extricating themselves from the web of destitution and despair into which they have inextricably bound themselves. 2019 Intelligence Assessment: The point of yet another round? According to its appraisal, there is a good chance of the radical Islamic elements in Gaza initiating a provocation that would compel the IDF to engage (once again) in large-scale military action—either to punish or prevent attacks on Israel’s civilian population. But what would be the long term—indeed, even the intermediate term—point of such action? After all, it has been tried time and again in the past ten years—in Operation Cast Lead (2008-9), Operation Pillar of Defense (2012) and Operation Protective Edge (2014) –to little or no avail. Despite inflicting heavy damage on its adversaries, the IDF is now confronted with foes, whose martial capabilities are far beyond anything once even remotely imagined. Accordingly, it would seem futile to conduct yet another indecisive round of fighting, only to return to yet another tense and sporadically violent interbellum for several years, until the next major flare-up of fighting—which would once again end with a tense sporadically violent interbellum, until the regime in Gaza felt strong enough to engage again. Or too weak not to. It was Albert Einstein who famously said that one could not solve a problem with the level of thinking that created it. Clearly, the problem of Gaza was created by the belief that land could be transferred to the Palestinian-Arabs to provide them a viable opportunity for self-governance. Equally clearly, then, the problem of Gaza cannot be solved by persisting with ideas that created it – i.e.by persisting with a plan for Israel to provide the Palestinian-Arabs with land for self-governance. The problem can only be solved by entirely abandoning the concept that Gaza should be governed by Palestinian-Arabs. Any effective solution must follow this new line of reasoning. Any other outcome will merely prolong the problem. If Hamas comes out stronger from the next round of fighting, it will be only a matter of time before the next, probably more deadly, round breaks out. If Hamas comes out weaker from this round of fighting, it is only a matter of time before it will be replaced by an even more violent extremist-successor – and thus, once more, only a matter of time until the next, probably more deadly, round breaks out. The only durable solution requires the IDF to take over the Gaza Strip, to dismantle the ruling regime there, and to extend Israeli sovereignty over the entire Strip-- and then initiate a large scale enterprise for the humanitarian relocation of the non-belligerent Arab population. This is the only approach that can solve the problem of Gaza. This is the only approach that will eliminate the threat to Israel continually emanating from it. How could anyone, with any degree of compassion and humanity, disagree?